This spoonful of detox quite simply makes you feel fantastic. This month I’d like to share a simple recipe with you that helps detox the body and quite simply makes you feel great. It’s easy to make and all the ingredients that you need for it can be purchased at the supermarket and/or health food store depending on what kind of stores are available to you where you live. You see, I wanted to create something that would help detox the body, improve digestion, increase metabolism and improve circulation, but without a whole lot of hassle or inconvenience. 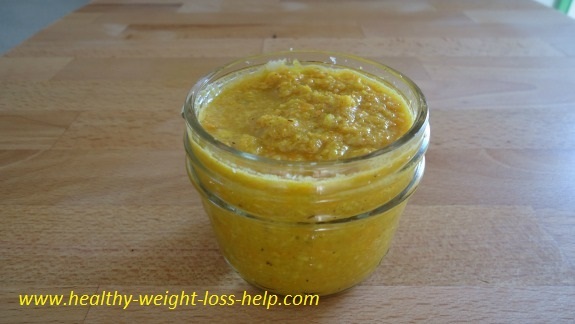 I made this recipe an all-in-one spoonful of goodness that has all day benefits. I started to take 1 teaspoon of this recipe every morning and started to feel more energetic and I really do have better digestion and circulation. I also love the feeling of my cheeks turning blush from a warm feeling I get after eating this stuff. But another amazing thing happened. After about 20 days of regularly taking my “homemade medicine” I noticed that the pain and problems I had with my bones and joints had diminished to an all time low (I had a car accident at age 16 that left me with lifetime problems and pains). This is because turmeric has huge anti-inflammatory properties. So I urge you to try this recipe and you can also make larger batches of it depending on how many family members would also like to use it. 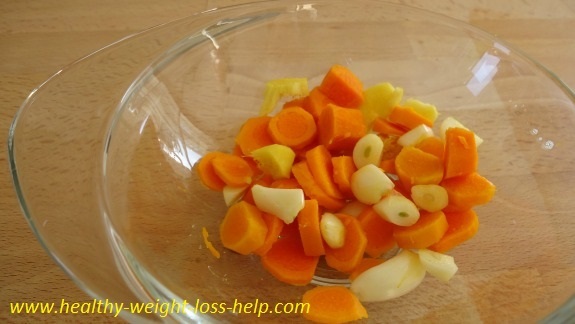 This recipe makes just over ½ cup and is good for 1 person for about 10 days worth approximately. It’s easy to make double or triple size batches if needed. So I use these ingredients for this recipe. The honey doesn’t half to have cinnamon in it, I just like the flavor of it and cinnamon also provides certain health benefits. Just try to use REAL honey. The honey is mainly to make this recipe more palatable. 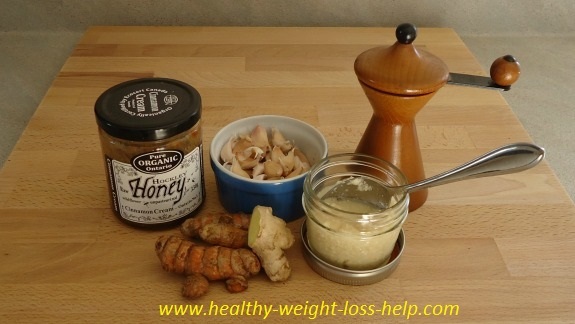 When I first started to experiment with these ingredients I didn’t use honey at all and I still managed, but it’s definitely nicer with a little natural sweetness to combat the other ingredients. Before you start cleaning your ingredients, lay a piece of newspaper on the counter. This will come in handy because turmeric stains everything. That’s why I started using plastic gloves when cleaning turmeric cause it took days before that orange-yellow color would finally fade away from my fingers and hands. 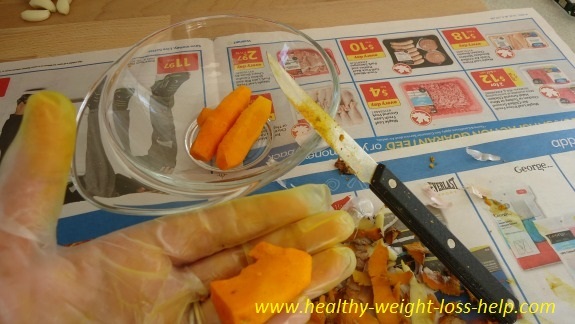 You can use either a peeler or small knife to remove the skin from the turmeric and ginger root. I myself prefer a knife for this task. 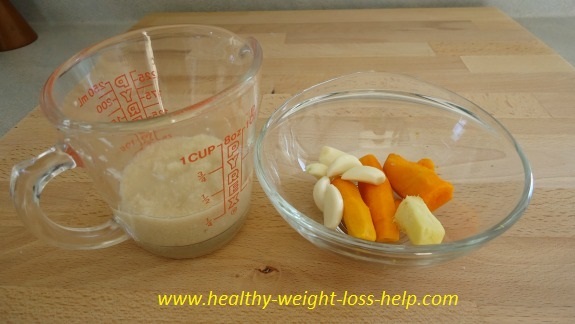 Once the garlic, turmeric and ginger are clean make sure you have set aside a 1/3 cup of horseradish. Cut all the garlic, turmeric and ginger into small pieces so it will be easier to chop up in the chopper or blender (which ever you have). 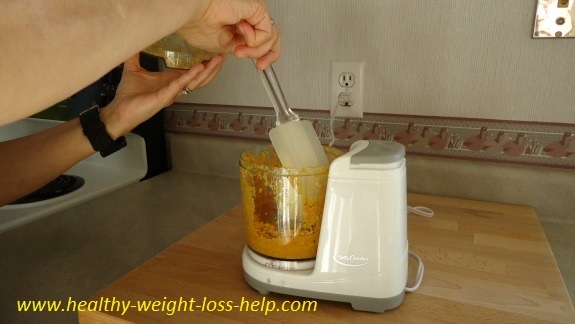 Take the horseradish, turmeric, garlic and ginger and place into a chopper (or blender). 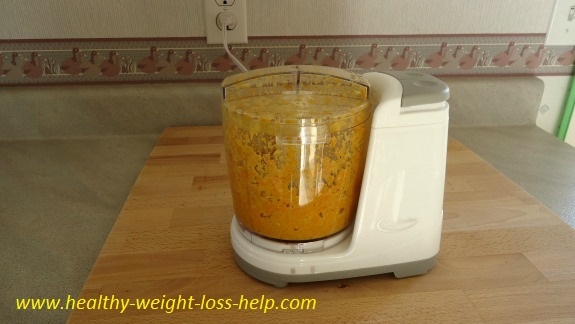 I purchased this cheap little blender just for this purpose because turmeric stains everything. This little chopper was around $15.00. Then add some freshly ground pepper into the mixture, about ½ - 1 teaspoons worth. Why freshly ground black pepper you ask? Because there are literally thousands upon thousands of scientific studies that show that black pepper enhances the health benefits of turmeric by 2000 %. Wow, that is just such a huge number and these studies have been proven, so we add the black pepper. Not to worry because black pepper offers a long list of health benefits that help with weight loss, respiratory and digestive disorders and offers antibacterial and antioxidant qualities. I call this a win-win combination. Now add the honey. This helps cut the harshness of the ingredients to make this spoonful of detox a little more palatable. Let the machine grate and chop it up until it’s similar in consistency to the horseradish or even a little smoother if you prefer. 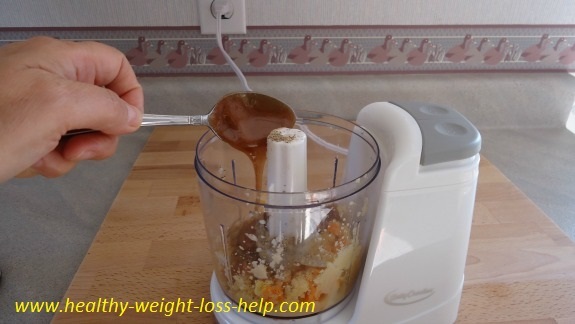 You will have to take a spoon or spatula and scrape down any of the mixture that has stuck to the side of the container. 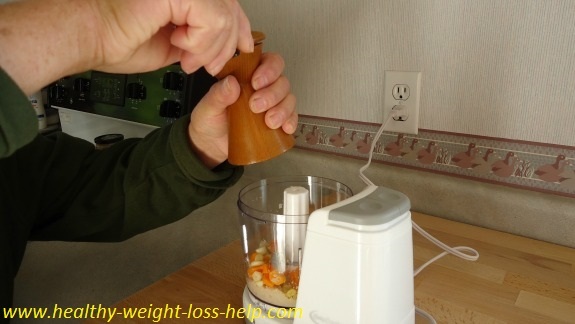 Now mix again until all ingredients are well blended. You may have to do this a couple of times depending. Now scrape the ingredients into a glass jar of your choice. Once complete the mixture looks like mushed up baby food. It may not look inviting, but it will definitely be inviting to your body and organs. Store this in the fridge and enjoy 1 – 1½ teaspoons daily. 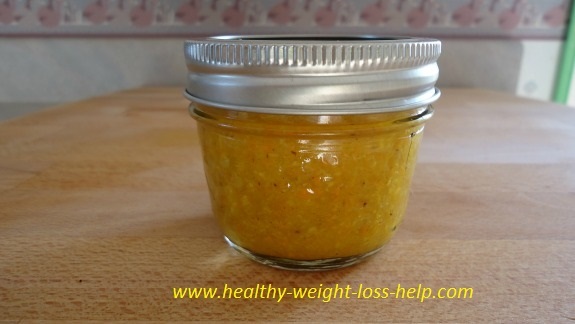 This small jar hold ½ a cup and last for about 10 days for 1 person. Increase the recipe by doubling or tripling all the ingredients depending on the size of your family. I like to take this spoonful of detox right after my morning walk and right before I eat breakfast. This works for me. Now the rest of my family prefers it on a full stomach with breakfast or lunch. It may be too harsh on an empty stomach for some. You must experiment and decide what time of the day is best for you. It’s healthy no matter when you eat it, so just choose a time and stick with it daily and make it part of your routine. If you don’t want to chew this mixture (as it can be strong) you can just wash it down as fast as you can with some water. That’s what I usually do most mornings. You don’t have to add honey, but I find it makes the mixture much more palatable, but please use real honey if possible. Want more great information regarding certain vegetables, then go to the USDA National Agriculture Library for Food and Nutrition Information Center.